I’ve had two Black Bunny Sock Flats in my stash for over 3 years. 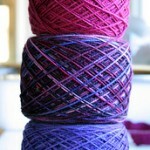 The colors are great but I’ve dreaded prepping the yarn. I finally sucked it up and balled up the yarn this morning. 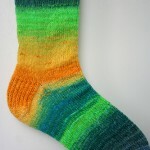 It’s been fun to have a plain vanilla sock on the needles – the ultimate grab-and-go project. The telephone cord kinks contribute their own “charm” but it’s not that bad. Now here’s my prediction (and I hope I’m wrong). 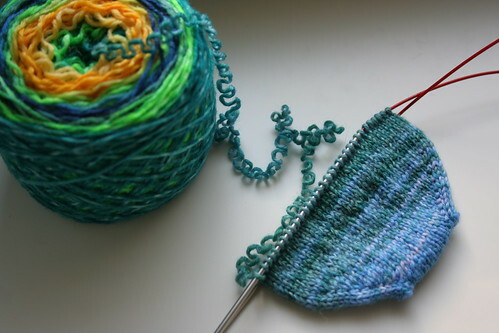 I’ll knit through sock #1 in no time (no time for me is 2 weeks) and then once the novelty of the yarn changes is gone, so will be my motivation. 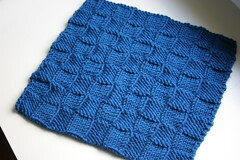 I finished 2 squares for Bertie’s Blankets. 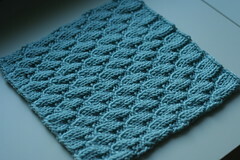 It was nice to knit up something small on worsted weight yarn. Quick progress and for a great cause. Harlequin Opal Shawl – great texture, works well with variegated yarns and can be knit to any size. 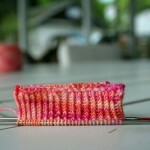 Innisfil Cardi – LOVE that cable. I had to stop myself from buying yarn for it this week. The reality of my track record with garments set in. Dragon Tails Shawl Another make-any-size shawl great with variegated yarn. 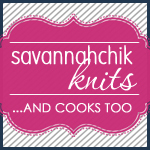 Lots of options – garter or stockinette, plain or eyelet edging. And bonus – it’s a free pattern. I’m off to cook some Sunday-food and then back to my latest obsession (those socks). I’ll catch you on the purl side. knitspiration, shawls, scarves and cowls, socks, uili. permalink. I so hope you don’t loose your love for those socks because they are amazing. How wicked fun! It is even okay that they are not pink. Love your Bertie’s squares. Sam will love them! 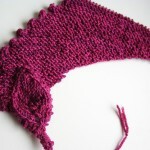 I LOVE when you knit with BBF because you are such a great knitter. 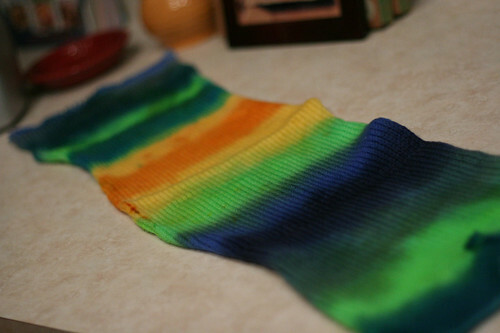 Sock flats are SO fun to work with because of the way the colors blend so I hope you finish both and can wear them!! The socks are looking fabulous. 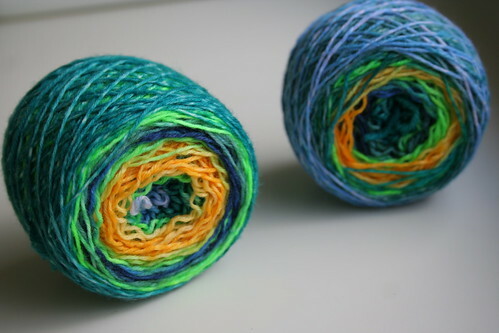 I havent knit with this type of yarn and I am intrigued at how the colors play out… very pretty so far.